Our dive locker is located at the Small Boats and Diving Operations building in Moss Landing. There are several lockers for storing personal diving gear. These lockers are typically full, but if you need one contact the Diving Safety Officer to see what is available. One of the perks of being a MLML research diver is access to diving equipment. 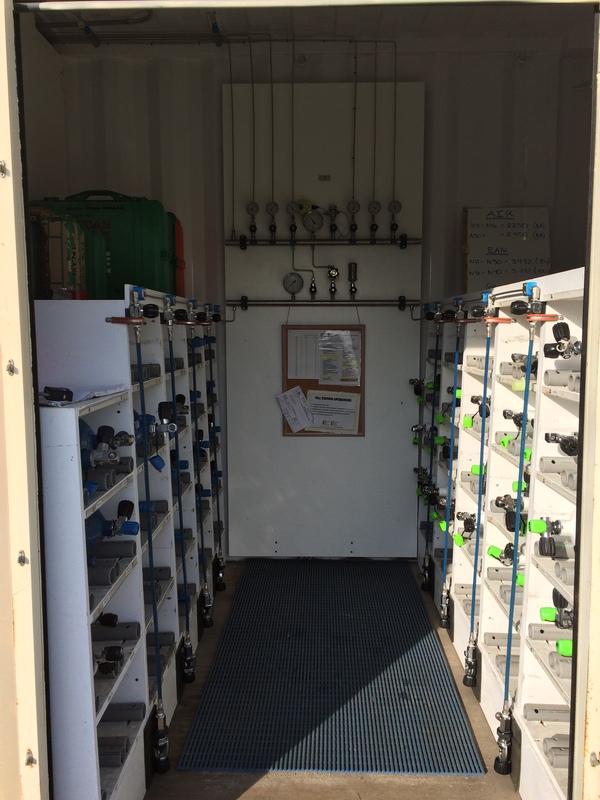 Besides SCUBA equipment, students have access to the dive truck, boats, research tools, and portable compressor (which are very useful for those Baja research trips). A more complete list is found below. Contact the Diving Safety Officer for further details. If needed, ask about dive lights, scientific sampling gear, quadrats, transect tapes, slates, cages, traps, water collection devices, pneumatic drills, sledge hammers etc.